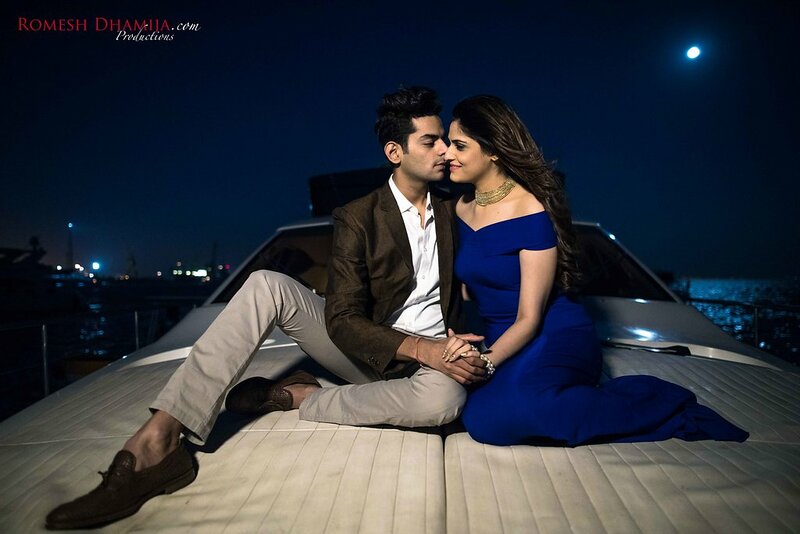 Taran and Ronak’s pre-wedding shoot was held in the beautiful waters of the Arabian Sea, right off Mumbai city. The serene and beautiful ambience set the perfect mood for every picture. Romesh Dhamija, their photographer, captured each shot with effortless panache, brilliantly managing to get calm, quiet and romantic pictures, even though they were right off one of the busiest cities! 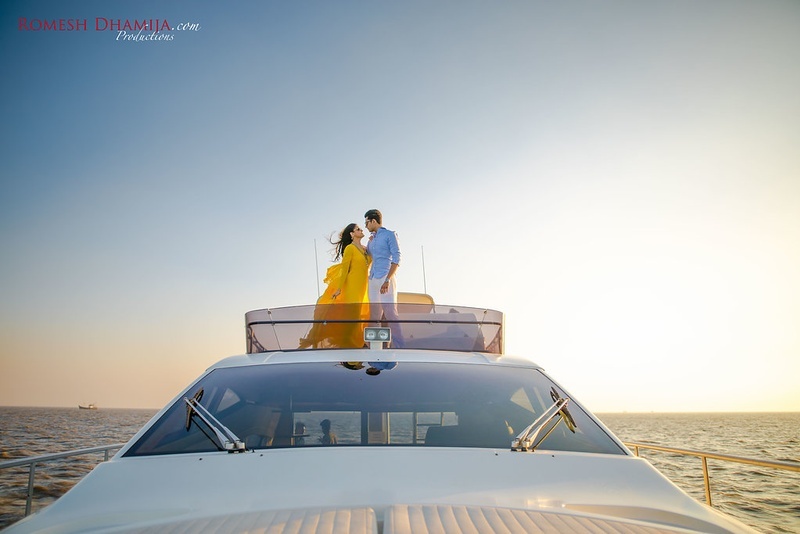 The serene blue waters, clear skies and that wonderful Mumbai skyline truly makes this pre-wedding shoot memorable.